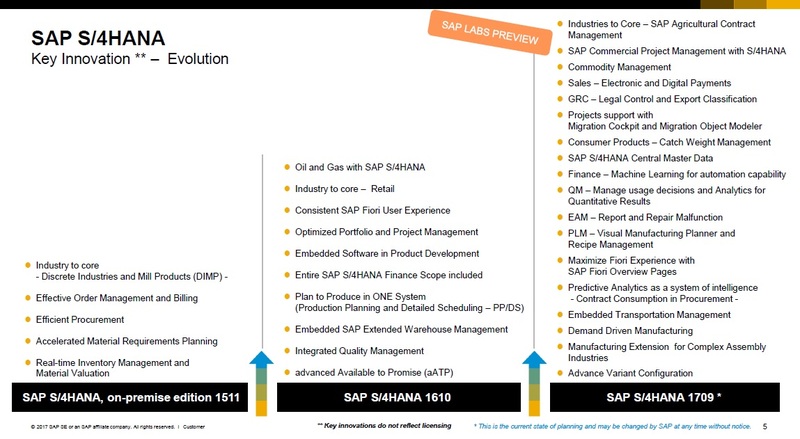 S/4HANA 1709 will be available shortly. but when to move? As you can easily notice that new version is the best of the pack for sure, however the timing is so interesting to make a decision for companies who are in the middle of an implemetation of S/4. We are implementing an S/4HANA project for one of the largest food and diary manufacturer and distributor group of companies in Turkey. We are following waterfall methodology for our project, this means ASAP. Despite many and irresistible functionalities of S/4 HANA 1709, we have decided to go-live with 1610, because of almost reaching the end of Realization phase, this means we have completed our user acceptance tests as well. But if you have enough time and resources and just begnning of realization phase or earlier, I strongly recommend you consider going live with 1709. You may have even completed development of many RICEF items, do not avoid moving to 1709. Re-test efforts may not take time and resource if you followed Test Driven Development. I know this approach is not very much common in our world, but we need to move to this development approach. 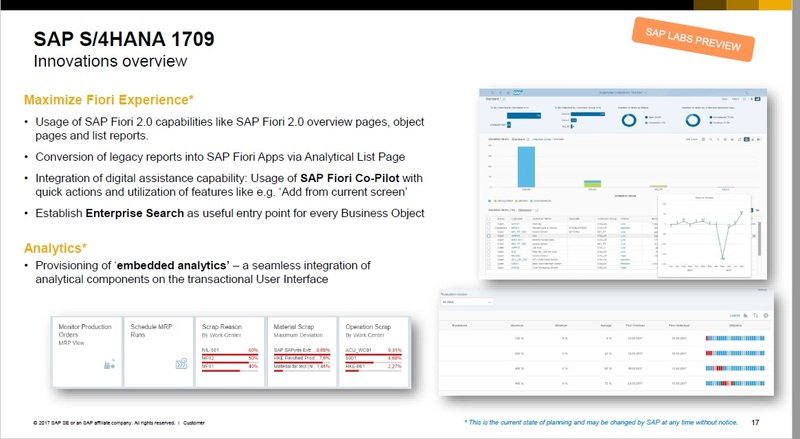 Finally even for Fiori Maximizing 1709 is great product to move on.